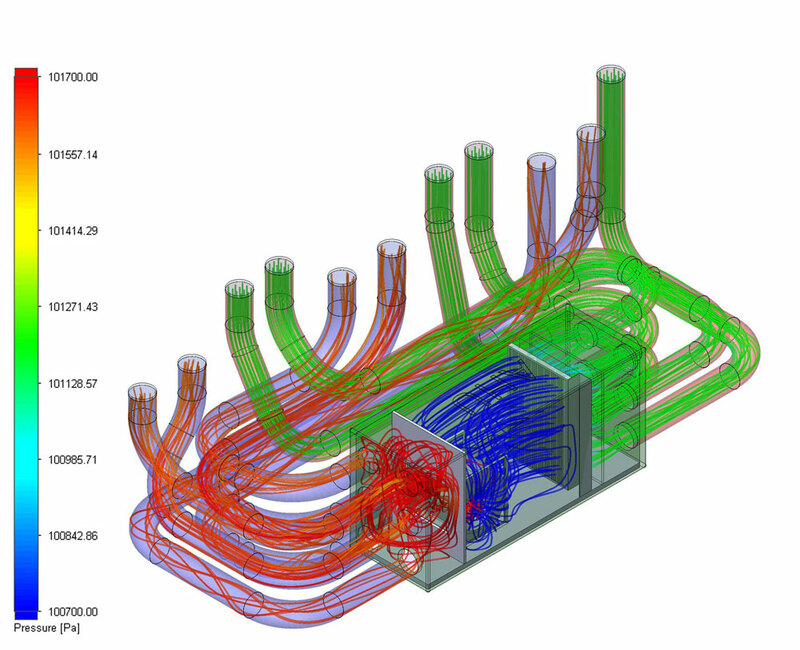 In keeping with our advanced knowledge of engineering technology, FLOW can simulate environments prior to arrival on site using cutting edge engineering software. This provides a large advantage to prepare against the extreme climate conditions of the GCC. FLOW Middle East not only excels in the quality of the final products produced, but also in the engineering design services that we can offer our clients. 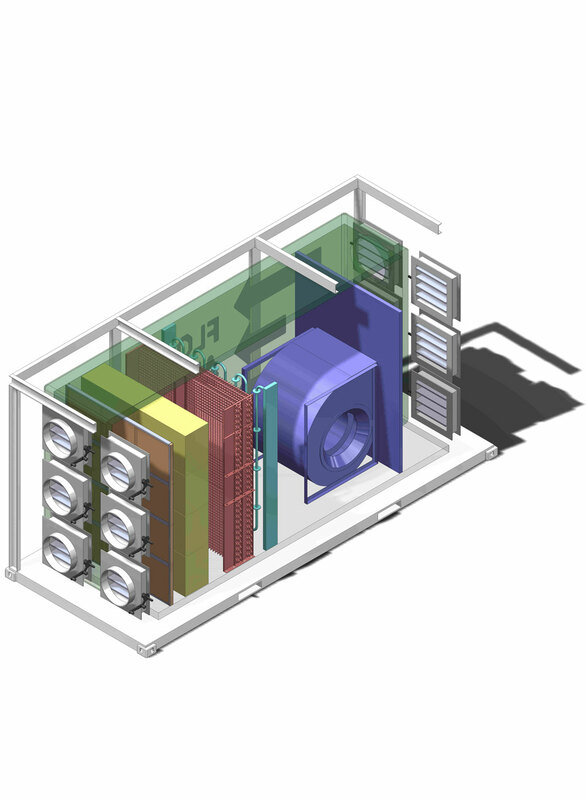 Using the latest CAD design suites, complex engineering design solutions can be achieved efficiently and cost effectively. Using complete 3 dimensional design gives our team the opportunity to resolve complex engineering problems in an aesthetic manner, long before initial manufacture, saving time and unnecessary cost. All of our engineering drawings are created in accordance to BS8888 and ISO standards. Through numerical and empirical calculations, complex Computer Aided Engineering programming is used to measure a variety of variables throughout a structure, including temperature, pressure, forces, humidity and air velocity. These results can be used to display a variety of human comfort factors, in accordance with ASHRAE 55. Structural Analysis is also carried out on critical components to ensure all designs are safe and within the designated Factors of Safety.